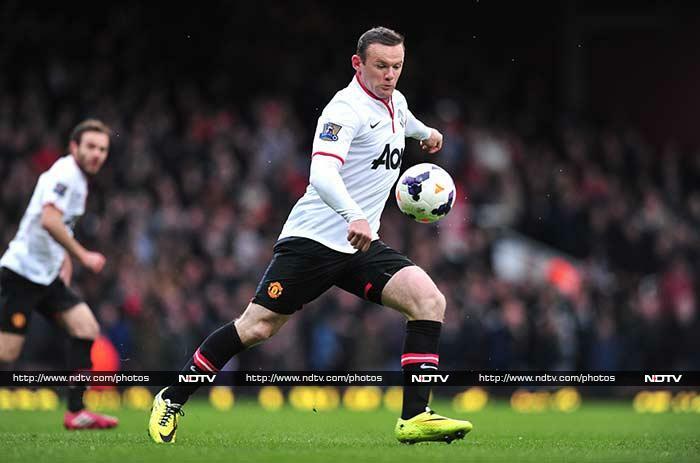 Manchester United striker Wayne Rooney scored an astonishing 58-yard lob in a 2-0 win at West Ham United. Luis Suarez scored a hat-trick as Liverpool won 6-3 at Cardiff City, while Manchester City are two points further back -- but with three games in hand -- after Yaya Toure also claimed a treble in a 5-0 win over Fulham. 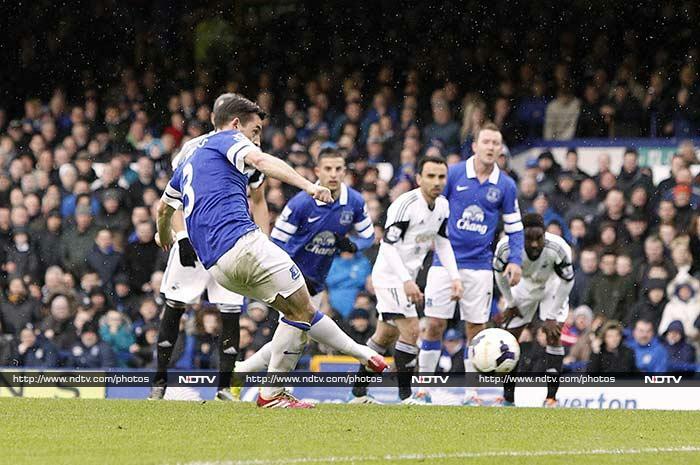 Everton moved ahead of Tottenham Hotspur into fifth after a 3-2 victory over Swansea City. 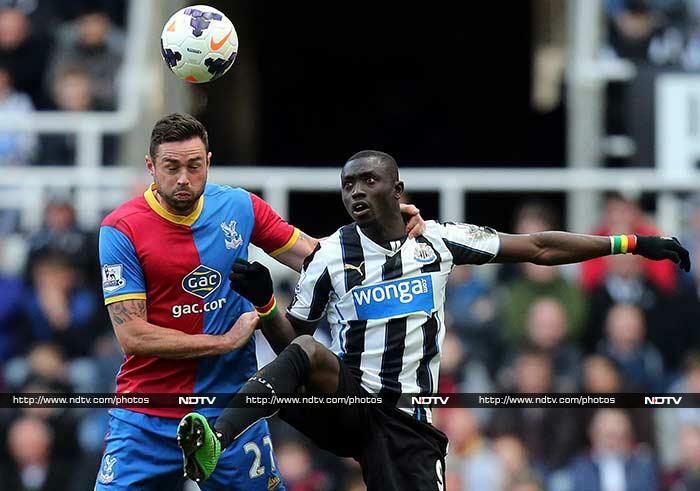 Manchester City moved above Arsenal into third place after Yaya Toure claimed a treble in a 5-0 win over Fulham. 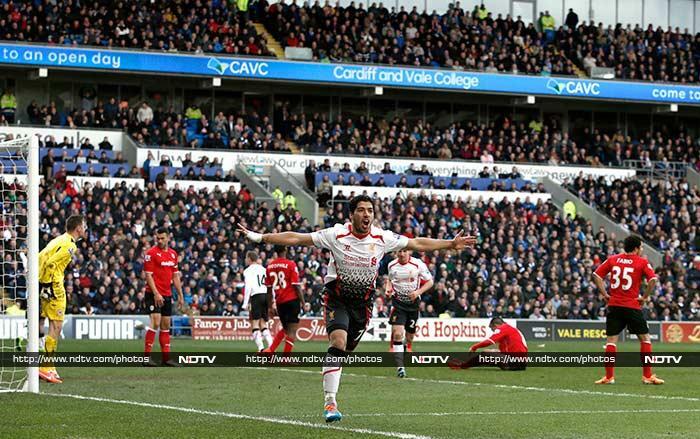 Luis Suarez scored a hat-trick as Liverpool won 6-3 at Cardiff City to move to within four points of leaders Chelsea. Wayne Rooney took his cue from watching Manchester United predecessor David Beckham with a breath-taking 58-yard goal in his side's 2-0 victory at West Ham United.